Afin de marquer le 100ème anniversaire du film d’animation Japonais, le centre cinématographique du Musée d’art moderne national de Tokyo vient de libérer sur les internets 64 courts-métrages, désormais en accès libre, sur le site Japanese Animated Film Classics. Ces films sont sortis entre 1917 et 1941. On retrouve notamment dans ce panel de classiques, The Dull Sword, crédité comme la plus vieille production japonaise animée par Junichi Kouchi. « Nous avons sélectionné un large éventail de films, ils étaient pour la plupart dans le domaine public n’étant plus soumis aux droits d’auteur, afin de créer Japanese Animated Film Classics » explique Kazuki Miura, membre du centre cinématographique, à Hollywood Reporter. L’intégralité du site est en Japonais, mais les films sont tous munis de sous-titres anglais. Ils seront disponibles jusqu’à la fin de l’année. On allait voir ce qu’on allait voir… Pour l’instant, on ne voit rien du tout. La guerre commerciale promise à la Chine par le candidat Trump pourrait-elle se transformer en pétard mouillé ? En tout cas, la Chine est prête et le Tartarin de la Maison Blanche trouverait à qui parler. Analyse. The post #caricom y el gobierno de Japón analizan mecanismos para dinamizar la cooperación bilateral appeared first on NODAL. 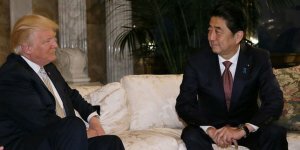 Tokyo veut confirmer la solidité de l’alliance avec les Etats-Unis et gagner en autonomie. 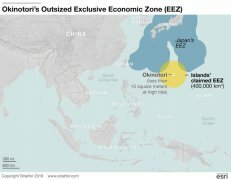 Resource-poor Japan sees that Okinotori has crucial economic and strategic value if it is deemed an EEZ, but this will depend on whether the bodies can be considered islands. Since 1987, Japan has invested over $600 million to protect the atoll from further erosion, encasing its remaining rock outcroppings in 82 feet of concrete. Slits are cut into the barriers to allow seawater through to meet the technical definition of an island set by international law: “naturally formed area[s] of land, surrounded by water, which [are] above water at high tide.” In addition, the smaller of the two islands is covered with a net of titanium. While $600 million may seem excessive, Tokyo considers the potential payoff well worth it. Dans son dernier roman, Éric Faye s’intéresse aux kamikakuchi, ces hommes et ces femmes ordinaires « cachés par les dieux », c’est-à-dire enlevés au #Japon par le gouvernement nord-coréen à des fins d’espionnage dans les années 1970-1980. 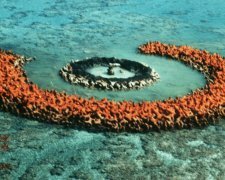 Un puzzle choral déclinant les destins d’une demi-douzaine de personnages entre vérité et fiction, pour décrire une réalité qui, loin de se réduire au fait divers, synthétise les complexités géopolitiques d’une partie du globe. Mario Draghi, président de la BCE et #Janet_Yellen, présidente de la Fed à Jackson Hole en 2014 © Reuters Les banquiers centraux, qui se retrouvent à Jackson Hole ce week-end, sont très inquiets. Leurs politiques monétaires créent désormais des effets négatifs. Les taux zéro et les centaines de milliards distribués n’ont pas permis de relancer l’économie mondiale, mais déstabilisent tout le #système_financier. Et les banquiers centraux ne savent pas comment en sortir. Analyse. These maps were captured in the waning days of World War II as the U.S. Army took control of Japan. American soldiers confiscated thousands of secret Japanese military maps and the plates used to print them, then shipped them to the United States for safekeeping. 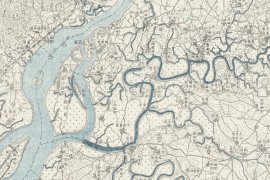 The maps covered much of Asia, and they went far beyond the local topography. They included detailed notes on climate, transportation systems, and the local people. It’s the kind of information that could be used to plan an invasion or an occupation, and some of it was gathered by spies operating behind enemy lines. To the Japanese, these maps are known as gaihōzu—maps of outer lands. Mario Draghi, président de la BCE et #Janet_Yellen, présidente de la Fed à Jackson Hole en 2014 © Reuters Les banquiers centraux, qui se retrouvent à Jackson Hole ce week-end, sont très mal à l’aise. Leurs politiques monétaires hors norme, menées depuis huit ans, créent désormais des effets négatifs supérieurs aux aspects positifs. Les taux zéro et les centaines de milliards distribués n’ont pas permis de relancer l’économie mondiale, mais déstabilisent tout le #système_financier. Mais les banquiers centraux ne savent pas comment en sortir. Analyse. L’empereur du Japon Akihito, 82 ans, souhaite abdiquer. La #droite_nationaliste du premier ministre #Shinzo_Abe ne l’entend pas de cette oreille. La pratique était pourtant courante dans l’histoire millénaire du « trône du chrysanthème ». Analyse. Although the new numbers in the Diet make constitutional change now possible, there are a number of reasons why it should not be regarded as imminent or inevitable. First of all, any amendments would still have to be approved by a national referendum. A move to strike out Article 9, the clause renouncing war, for instance, would certainly meet stiff resistance since it is an integral part of Japan’s postwar identity as a ‘nation of peace’. Less controversial changes, on the other hand, might be sold to the public. The current constitution was drafted in 1946 by the US-led occupation authority as it went about disarming and democratising the former enemy. In the 70 years since, the constitution has never been amended, although its pacifist stance has been ‘reinterpreted’ to justify the existence of Japan’s Self-Defense Forces (backed today by the world’s 8th biggest defence budget). When the Abe government moved last September to expand the scope of self-defence to include limited forms of ‘collective self-defence’ — allowing the military to go to the aid of an ally if Japan were also threatened — large-scale public protests erupted against what many saw as constitutional revision without due process. Campaigning on behalf of candidates for the upper house, Prime Minister Shinzo Abe generally avoided the constitutional issue and stuck to economic themes. The combined opposition parties, in contrast, put the constitution front and centre, asking voters to stop the ruling bloc from gaining the crucial two-thirds majority. Abe’s victory could mean the electorate has either grown tired of the constitutional controversy or is more concerned about having a steady hand on the tiller. Both, of course, could be true. Some commentators believe the Abe government will be fully occupied trying to revive a sluggish economy and won’t want to venture into the minefield of constitutional law. Some senior LDP executives and business leaders are also advising caution. Abe remains committed to revision but concedes the need for deeper discussion on what might be changed and how. The LDP’s coalition partner, Komeito, would also have to be convinced first, given its long-standing commitment to the status quo. 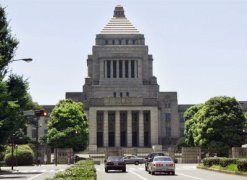 The LDP’s draft new constitution contains so many problematic changes — including enhancing the status of the Emperor, reducing the importance of the individual versus the state, increasing the power of the executive branch of government and ending the strict separation of church and state — it is highly unlikely the public would swallow it whole. A smarter approach, and one already gaining some momentum, would narrow the focus and include less controversial proposals (for instance, adding a ‘right to privacy’ to the constitution). Retaining most of Article 9 — removing only the reference to disarmament — would also have a greater chance of being accepted. An exit poll conducted by the Asahi Shimbun in conjunction with the upper house election found more voters favoured (unspecified) constitutional change than opposed it, albeit by a narrow margin. An exit poll by the Jiji news agency obtained the opposite result, although one-third of its respondents were ‘unsure’. These surveys sampled the 55 per cent of the electorate who actually turned out to vote — the politically active component of the population the LDP would need in a referendum. If there has been a shift in the public mood, it could be because a lot has happened since last September: more Japanese have died in terrorist atrocities abroad, China has stepped up its belligerent approach to territorial disputes, North Korea has test-fired ballistic missiles, and US presidential candidate Donald Trump has put Japan on notice to provide for its own defence. The US–Japan alliance was further frayed by the murder of a young woman by a US base employee in Okinawa. At a time of great unease, public approval for the Abe cabinet has rebounded 11 percentage points (to 48 per cent) from its low point of a year ago. Abe has the remaining two years of his term as party president to fulfil his deeply held ambition to replace Japan’s US-imposed constitution with one reflecting traditional, indigenous values. The prospects for revision may come down to a choice between pragmatism and ideology: whether the revisionists are prepared to revert to a minimalist approach — essentially to establish a precedent for change — or risk everything trying for root-and-branch reform. The ruling bloc may be a step closer to the glittering prize, but this new opportunity brings with it a greater risk of hubris. Walter Hamilton was the ABC’s Tokyo correspondent for 11 years. He is currently based in Sydney. roadly speaking, disaster education fits within two categories: publicly funded and voluntarily organised education. Currently, voluntarily organised disaster education is rapidly outpacing its publicly funded counterpart. It is the responsibility of the government and its agencies — at the municipal, prefecture and national level — to provide public disaster education. The framework of this education program is set out in the Basic Disaster Management Plan, which is in turn broken down into regional, prefectural and municipal plans. This means that disaster education can be discussed while taking specific risks and local needs into consideration. As many as 24 government organisations and 56 public corporations are also obliged to have Disaster Management Operation Plans. These plans not only set out protocols, arrangements and areas of responsibilities in emergency situations, but also define disaster education for the organisation. The Meteorological Agency, for instance, offers a workshop called ‘what to do if you experience torrential rain’ to communities which are likely to be hit by heavy rain and typhoons. Another example is the Stranded Commuters Measures Ordinance, which was introduced following the 2011 triple disaster when a large number of commuters were stuck in Tokyo. In memory of the 1923 Kanto Earthquake, which killed more than 100,000 people in Tokyo, the Japanese government has also established 1 September as ‘Disaster Prevention Day’ (bosai no hi) and the week commencing 30 August as ‘Disaster Prevention Week’ (bosai shukan). During these events, governments at the national, prefectural and municipal levels offer awareness-raising events and practical training drills. A range of information regarding disaster-related laws and policies, educational materials and event information are also made available to the public via government websites. In schools, disaster education is regulated under the School Health and Safety Act, within a multi-hazard policy framework called ‘School Safety’. The act requires every school, with guidance from the Ministry of Education, to develop and implement a School Safety Plan. Requirements for school preparedness in the face of various hazards are also defined within the national curriculum, with individual schools being obliged to implement suitable safety initiatives. Disaster education is also a necessity for school staff, through which they gain scientific knowledge on disasters as well as first aid and counselling skills. Historically, volunteer organised disaster response in Japan has taken on a different role than the publicly funded form. One critical aspect is mutual cooperation between local neighbourhoods. Most of the wards in cities and towns have a volunteer disaster prevention organisation (jishu bosai soshiki) along with a neighbourhood association (chonaikai), which are usually led by retired firemen and community leaders. Working together with the municipal government, volunteer organisations arrange awareness-raising events as well as disaster drills for the community. On top of such traditional forms of volunteer organisations, there has also been a recent surge in interest for civic participation and community support. The 1995 Hanshin/Awaji Earthquake originally triggered this interest and, as a consequence, 1995 is referred to as ‘the start year of volunteering’ in Japan. Given the increasing numbers of volunteers, a not-for-profit and independent organisation called the Council of Social Welfare (shakai fukushi kyogikai) was established to organise training, develop guidelines to clarify the roles of volunteers and promote a culture of volunteering. What is interesting about voluntarily organised disaster education is its two-dimensional nature. Volunteers are educated about disasters both through formal and informal training and through the process of volunteering itself. 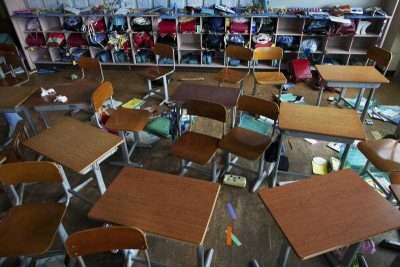 Overall, Japan’s disaster relief and disaster education looks to have a promising future, though it has not yet reached its goal of reducing the damage of natural disasters by 50 per cent. For instance, collaborative work among different stakeholders, including voluntary sectors, is continuing to increase. This trend has partly stemmed from cuts in public funding for disaster education. While such austerity measures are of concern, this does provide an opportunity for Japan to consolidate the development of its civil society — a central actor in disaster relief. Another positive trend has been the emergence of the notion of ‘everyday preparedness’ (seikatsu bosai). Originally advocated by Kyoto University’s Professor Katsuya Yamori, its aim is to embed vigilant thinking and behaviour in everyday life, rather than treating disaster education as an additional activity. Everyday preparedness is promoted as being developed by citizens, for citizens. Such trends in disaster relief improve Japan’s ability to live with disasters, rather than be a victim of them. Kaori Kitagawa is a researcher at the Cass School of Education and Communities, University of East London. La mégapole du Grand #Tokyo connaît depuis quelques années une mutation exprimant un nouveau rapport au bâti : le Japon postindustriel ne construit pas encore pour des siècles mais la culture de l’éphémère n’est plus aussi dominante. Bon voilà, c’est exactement ce que je disais à propos du fameux néoréalisme italien. 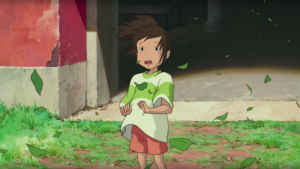 On n’a jamais parlé de néoréalisme japonais, et pourtant regardez celui-là et vous verrez que filmer le réel et de laisser s’exprimer et ben c’est exactement ce qu’il y a dans ce film. En fait tout est une affaire de critiques qui savent trouver les bons mots aux bons moments et inventer des mouvements, des écoles alors que les pauv’ filmes, au départ y z’ont rien demandé. Le destin d’O’Haru est terrible et puis ça dure 2h10 histoire qu’on voit bien à quel point il est terrible. Et rien n’est un hasard, ce n’est pas une destinée, c’est la condition des femmes au Japon à cette époque là que je sais même pas quelle époque c’est. Vendue par son père à un empereur dont la femme est stérile pour faire un héritier. Jetée par l’empereur après avoir eu son héritier. Du coup retour chez la famille alors déshonorée qu’a la bonne idée de la vendre à une maison de passe etc. Et ça continue comme ça jusqu’à la fin avec une cerise sur le gâteau que je décide de ne pas raconter en espérant que certaines et certains d’entre vous trouvent ce film facile sur un site de streaming quelconque. Et c’est aussi exactement tout ce qu’on peut reprocher aux films de Kazan critiqué il y a deux semaines. Enfin bref, à côté Dancer in the dark c’est du pipi de chat. La prise de contrôle de Mitsubishi Motor (MMC) installe l’Alliance #Renault-Nissan, dont le centre de gravité glisse vers Yokohama, dans le quatuor de tête d’une industrie automobile mondiale en pleine mutation. Et pendant ce temps-là, les gouvernants français amusent la galerie. Analyse. La droite nationaliste japonaise, qui domine le gouvernement conservateur de Tokyo, verrait d’un bon œil l’arrivée de Donald Trump à la Maison Blanche, en dépit de ses tirades anti-nipponnes. Enjeu, la révision d’une Constitution pacifiste honnie, le #réarmement voire l’accès à l’arme #nucléaire. Entretien.